Summary Recommendations: Dalteparin is a low molecular weight (LMW) blood thinner. The blood thinner is prescribed for deep vein thrombosis, angina (chest pain) and other medical conditions. The brand name for dalteparin is Fragmin. General Precautions: Blood thinners are often prescribed to prevent life-threatening blood clots from forming. If you test positive for pregnancy while on dalteparin or other blood thinners, contact your prescribing physician immediately. Do not stop taking the medication as that can cause blood clots to form before another medication can be prescribed and take effect. 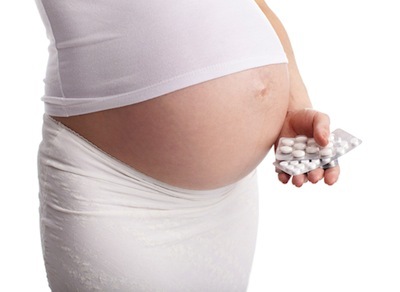 Dalteparin and other LMW heparins are considered safe for use in pregnancy. There are preparations of the drug that contains benzyl alcohol. This preservative is associated with the Gasping syndrome in newborns and should not be used by pregnant women for this reason. Effect While Trying to Conceive: Negative side effects of taking dalteparin on fertility have not been reported. In some cases, blood thinners paired with aspirin are used to improve fertility. Effects on Pregnancy: Studies on LMW heparins like dalteparin have concluded no pregnancy complications or side effects related to taking the blood thinner during pregnancy. The condition for which the blood thinner is prescribed is likely more dangerous if left untreated than any side effects associated with dalteparin. In infant blood cord tests, no signs of coagulation disparities were reported. Dalteparin can be prepared with a preservative known to cause infant complications. Tell your doctor if you’re pregnant before starting dalteparin. The preservative known to cause side effects is benzyl alcohol. Safe During Breastfeeding: Only a small amount of the dalteparin is passed into breast milk. That small amount has not been shown to cause negative side effects in infants who breastfeed. If you are pregnant and taking dalteparin, tell your obstetrician if you’re planning to breastfeed.